July 25, 2018 -- After a string of failures in Alzheimer’s disease treatment, drug companies say they might have a medication that both clears toxic amyloid proteins from the brain and significantly slows the rate of a patient’s mental decline. In early July, drugmakers Biogen and Eisai set the Alzheimer’s world abuzz with news that they had an experimental drug -- BAN2401 -- that had shown positive results in human patients. At the time, they put out a news release touting their results as a first, and promised to show the actual study data at an upcoming medical meeting. On Wednesday, they finally released the results everyone was waiting to see, and they were greeted by cautious optimism at the 2018 Alzheimer’s Association International Conference in Chicago. The company showed that over 18 months on the highest dose of the drug -- 10 mg per kilogram of body weight given twice a month by IV -- patients with mild cognitive impairment and early Alzheimer’s disease had big reductions of beta amyloid in their brains. They had about 93% less beta amyloid, compared with people in the study taking a placebo, or dummy medication. They also showed less decline on congitive tests than patients who were taking a placebo. Beta amyloid is a protein that is the main component of sticky plaques that build up in the brains of Alzheimer’s patients. It’s considered a signature, and a likely cause, of the disease. "Beta amyloid is a normal protein. We all have it," says Ronald Petersen, MD, PhD, who directs the Mayo Clinic Alzheimer's Disease Research Center in Rochester, MN. In Alzheimer's disease, the body's normal process for getting beta amyloid out of the brain goes awry. In healthy brains, beta amyloid gets snipped in the middle by an enzyme called alpha secretase. The two pieces get cleared from the brain and everything is OK, Petersen says. In Alzheimer's disease, two other enzymes--beta secretase and gamma secretase--cut the protein in places it wouldn't normally be, leaving fragments that the body doesn't recognize or know how to get rid of, he says. "It's these toxic fragments that start to accumulate in the brain to form plaques," says Petersen, who was not involved in the study. BAN2401 is a monoclonal antibody, and it is particularly good at sopping up toxic beta amyloid fragments, called protofibrils. The science behind the drug comes from a family in a small village in northern Sweden. The family had an inherited genetic mutation--now called the Arctic mutation--which caused them to have high levels of protofibrils in their brains and a very high risk for Alzheimer's disease. Scientists guessed that clearing these toxic fragments could help heal the brain. The study showed that BAN2401 was indeed very good at removing beta amyloid. No drug has ever demonstrated both the ability to clear beta amyloid and slow the progression of the disease in such a short period of time, just 18 months. In a statement, the Alzheimer's Association said the research indicates "that amyloid remains an important therapeutic target to pursue in Alzheimer's disease." But the jury is still out on whether that will translate into meaningful benefits for patients. Enthusiasm was muted for a number of reasons. First, the trial didn't meet it's orginal goal, which was to demonstrate significant difference between the drug and a placebo at 12 months. The results reported by the company were secondary goals of the study. In addition, the study wasn't large enough to definitely demonstrate mental benefits for patients. Also, the study design was complex. The 856 study participants were randomly assigned by a computer algorithm to one of five different doses of the drug, or a placebo. The groups ended up with important differences that might have biased the results. Because of concerns for patient safety, regulators told the company it should restrict patients with a gene called APOE4 from taking the highest dose of the drug. APOE4 greatly increases the risk that a patient will develop the disease. In the placebo, or comparison, group, about 70% of patients carried the APOE4 gene. In the group taking the highest dose of the drug--the only dose to show significant benefits to patients--only 30% of patients had the APOE4 gene. That leaves an open question: Did the drug look like it was working better in the results because patients in the placebo group were sicker? We don't know. “There’s a lot of intrigue here. It’s very interesting, but I think there are also a lot of questions, still,” says Julie Schneider, MD, a neurologist who is associate director of the Rush University Alzheimer’s Disease Center in Chicago. She has no financial interest in the drug and gets no money from either of the companies involved in its development, she says. While all participants saw their mental abilities decline over the course of the study, the group on the highest dose of BAN2401 showed significantly less disease progression than the placebo group on a range of cognitive tests. The biggest relative reductions were seen on a test called the ADAS-cog, a set of 11 tasks that patients complete. The tasks measure deficits in memory, language, attention, and other mental abilities. It includes things like remembering words on a list, drawing figures, and following directions. The 161 patients on the highest dose of the drug had about 47% less decline in their test scores, compared with 247 patients who were getting a placebo medication. That difference was statistically significant. The same group alo showed about 30% less decline than the placebo group on a different scale, the Alzheimer's Disease Composite Score, or ADCOMS test. At the beginning of the study, patients had an average score on the ADAS-cog of 22. After 18 months, patients on the placebo saw their scores decline by about 5.5 points. Patients who were taking the highest dose of BAN2401 declined by about 3.5 points on this test, an absolute difference of about 2 points. Would that be enough to make a difference in a person’s daily life? “The short answer is we don’t know,” says David S. Knopman, MD, a neurologist at the Mayo Clinic in Rochester, MN, who was present when the data was presented to reporters. He is a scientific advisor to the Alzheimer's Association. Knopman compared the BAN2401 results to the clinical trials of donepezil (Aricept), another Alzheimer’s drug, where the difference seen between patients on the drug and patients on the placebo was about 2 points on the ADAS-cog over 6 months. Aricept helps to treat some symptoms, but its effects wear off over time. “If [BAN2401] is a disease-modifying drug, the hope is that this difference would magnify over time. That’s just a hope,” Knopman said. Disease-modifying drugs slow the progression and course of a disease. They don’t cure it. The drug also caused some side effects. About 15% of patients on the highest dose of the drug had serious side effects, compared with 17% of patients on a placebo. 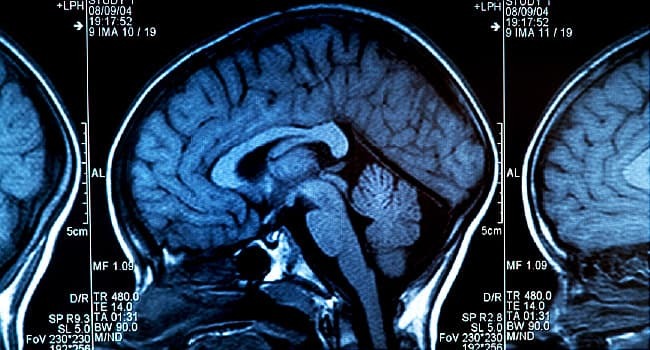 The most common side effects related to treatment were reactions to the IV and brain swelling related to removal of amyloid from the brain, a phenomenon called ARIA-E. Most ARIA didn't cause problems, but in about 10% of cases, patients had headaches, visual disturbances, or confusion. Lynn Kramer, MD, the chief clinical officer of Eisai Pharmaceuticals, said the company would present the BAN2401 data to regulatory authorities like the FDA and discuss next steps. He did not commit to starting a phase 3 trial -- considered one of the final steps before regulatory approval -- of the drug. Julie Schneider, MD, associate director, Rush University Alzheimer’s Disease Center, Chicago. David S. Knopman, MD, neurologist, Mayo Clinic, Rochester, MN. Lynn Kramer, MD, chief clinical officer, Eisai Pharmaceuticals.